Today I sit to write about something that’s been on my heart for at least a year, perhaps even a little longer. Fear mostly in that as much as we say we don’t care what people think, we really do. It is our nature to want folks to agree with us. This year, I have learned though that we can disagree, and not be nasty about it. So I can say what I have to say, and not be afraid of what you think. I want to think. I want you to think. Last November we elected a new President, and here is what I’ve observed. I thought the hate talk would die down after a bit, but alas, it has not. I don’t care which side of the aisle people reside on, Democrat or Republican, liberal, conservative, Christian, Catholic, Buddhist or Muslim, male, female, or LBGTQ. I have observed a type of speech that quite frankly breaks my heart. This speech comes from those I know, and those I don’t, virtual friends and people on the street. Here it is; They want to love, love, love. Run the world with love. Be love. Speak love. And the moment someone says the name of our President, the spirit of wrath, and vitriol comes out of their mouths, obscenities that I cannot personally utter. In the next sentence, they are back to love, love, love. Some leaders even stand in front of microphones and say awful things about those who voted for him. Excuse me, but wouldn’t that be over half of the nation that you’re bad mouthing? Can I just say, leave the man alone and let him do his job? We have all heard the viciousness of verbal attacks launched on the President and his family. Can we just stop? I have not always agreed with our previous Presidents, even the ones I liked. I didn’t bad mouth them, I used my voice in the voting booth. I seldom have these conversations due to the angst and anger that is spewed after they begin. I won’t. I can’t. My heart can’t take it. Perhaps we need to begin some civil dialogue? Or not. I can always use my voice in the voting booth. Bridges come in many shapes and sizes. Each built to withstand the elements surrounding it. Simple beam bridges, may only cross a stream or a gully too difficult to traverse, and are seldom longer than 250 feet. A truss bridge is a superstructure meant to carry heavy loads. A cantilever bridge stretches over the obstacle, is only attached on the ends, and raises in the middle to allow for larger loads to go UNDER. An arch bridge carries the weight of traffic through the abutments on either side. These bridges are strong enough to carry trains. Tied arch bridges, or bow string bridges are constructed a bit differently, and the weight is carried through tension in the bottom cord of the bridge. Suspension bridges are suspended from cables. The earliest ones being ropes and vines. The cables hang from towers that are built deep into the ground below the bridge. Cable-stayed bridges, like suspension bridges, are held up by cables, but have less cables, and taller towers. But my very favorite bridge of all is the Gospel bridge. It’s the one that God provided for us. It is built with eternity in mind. It bridges a gap that I can’t jump. I’m thankful to have a path to choose. One that is strong enough to carry a load that I could never bare. This may be the most difficult topic I’ve ever had to face. It’s the topic I’ve hidden from. It’s the topic I’ve hidden from God. It’s the topic I’ve not wanted to discuss. It’s the topic that I would guess you don’t want to ponder either. It’s the topic with symptoms I can’t even always recognize. Shame is a deep sense of humiliation and embarrassment. This shame that comes could be real, or it could be imagined. It really does not matter. The effects are the same. Shame is the antonym of innocence. It changes who you were meant to be. It is an attack from the enemy of your soul! To keep you away from God’s design for you! You didn’t do anything wrong! own of their own volition. Guilt generally comes from a sense of responsibility for knowingly doing wrong. Often there is remorse for some offense, crime, wrong, etc., whether real or Imagined. Guilt is synonymous with criminality. The wrong-doer is the perpetrator! They were in control of the situation! There was nothing you could do! Someone else is the criminal here! You can cry out to God for Justice and Restoration! 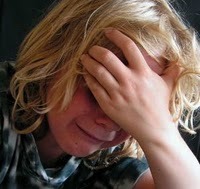 ·Shame is emerging, in the view of some, as a “master emotion” that influences all the others. exception of anger,” said Dr. Scheff, who studies the sociology of emotions. is the emotion most difficult to admit and to discharge,” Dr. Scheff said. It is simply too painful to admit. It stays hidden inside and continues to decay our souls. I would like to give you a couple of suggestions. *Ask God to help you, by His Spirit, to search your heart. *Tell Him all about what you are hiding inside. *Is there just one person you can confide in? -Maybe not the entire story, but just a sliver? -Exposing this shame will absolutely RUIN its power over you. *Maybe you just can’t tell anyone, however, can you write it down? -Then give the offense to God? However, I also know that God has so much for in store for you. The whole story or just a sliver. Wherever you are able to start. Whatever you can give Him. Justice for you, restoration for your soul. Your peace of mind depends on it.